The Team of Choice will be out looking for a league double over Orlando Pirates when they take on the Buccaneers at the Harry Gwala Stadium on Wednesday night (19H30). United go into the game on the back of a 1-0 loss to Moroka Swallows, and are placed eighth on the Absa Premiership log with 36 points from 28 matches. The Buccaneers are placed third on the log with 48 points from 28 matches and beat SuperSport United 4-1 in their most recent league encounter. 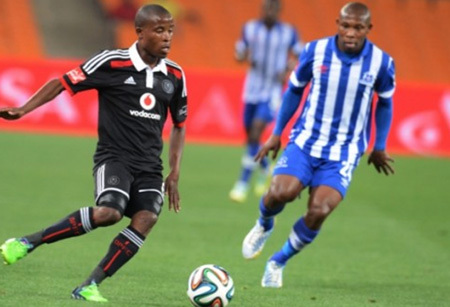 Maritzburg end their season with an away match against AmaZulu on Saturday, while Pirates play Ajax in Cape Town. Maritzburg and Pirates have met in 17 league matches since 2005/06.Pirates have won 10 compared to five for the Team of Choice, while two matches have been drawn. Maritzburg have won three of their eight home matches against Pirates, suffering five defeats in the process. When the teams met earlier this season, a brace from Mohammed Anas secured the Team of Choice a 2-1 home victory. Maritzburg’s line-up from their 1-0 loss to Swallows: Walters, Mngonyama, De Jongh, Pantsil, Mekoa, Zulu, Lentjies, Vilakazi (Anas 73’), Mabaso, Cele (Banda 60’), Mokate.